Living in two worlds makes you anxious, like multiple personalities will put you on meds (or wine, I suppose, lots of wine). And when the daffodils have started blooming in the plains off the Front Range, there is still a thick covering of snow in my canyon, just below 8,000 ft. in elevation. I see them as I walk to work through Boulder’s University Hill, peeps of yellow and small purple crocus, bulbs of memory, year after year. The trout fishing I love won’t open for a few weeks yet, and I don’t go to tailwaters or large rivers that keep moving through the year, with unrelenting currents of people and bugs. No, my trout are small. And still under snow; just like my cabin. Come spring, I start itching for warmwater – for carp and bass and the odd crappie or two. 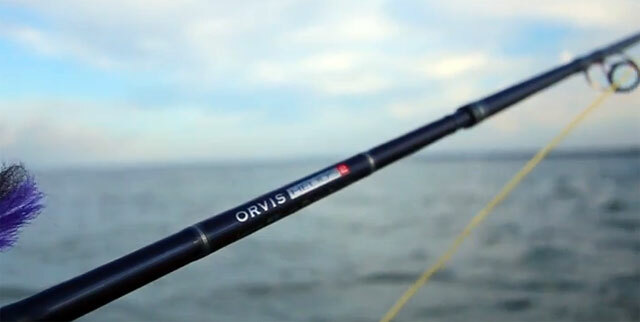 So when given the opportunity to test and review the new Orvis Helios 2 rod, this is immediately what came to mind. And my choice was no question: a six-weight. 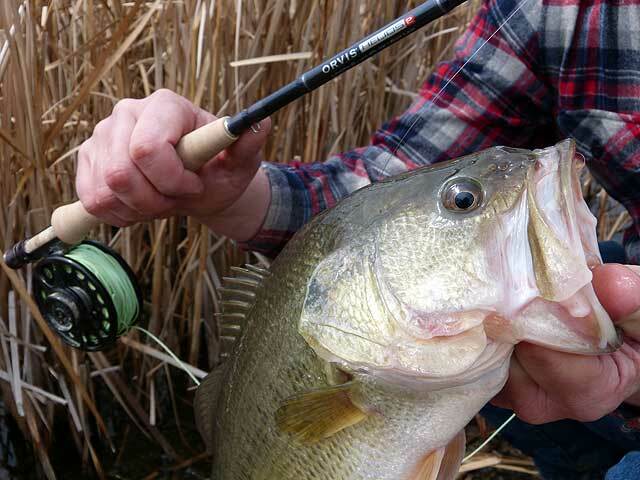 A six-weight allows a diverse angler to power casts out deep and finesse accuracy up close. It’s the ultimate all-around rod, I believe one could argue—that perfect balance of dynamism, efficacy, and command. And on a day when my fishing partner and I both had nasty headcolds but the sun was shining and snow was melting in clods off the roof, puddling loudly in the stainless steel dog food dish out the back door, we couldn’t stay in. Call it cabin fever or shack nasties, or poor judgment from sinus pressure. We headed to lower ground, for old gravel pits and a farm pond, where we found some early season carp and bass. The Helios 2 is the second generation (which means better genes, or at least how my mind works as a former farm girl) of the acclaimed original. The newest graphite rod from The Orvis Company, who says it’s lighter and stronger than the first release, and in this case what’s purported in the glossy pages is true. Laying out long casts, even with heavy flies to get deep in the cloudy and cool water, the Helios 2 was impressive. With a quick response time, it still had enough load throughout to power large and heavy streamers, as well as the delicacy required for up-close carp casts, where every motion and minute matter. Accuracy, at both close and far ranges, was spot on. The claim to transmit “energy directly from your brain to the fly and casts with the precision of a laser pointer” is not a far cry from the truth, marketing jargon as it may be. The Helios 2 was impressive and performed when and where it was needed: from long bombs deep for bass, to delicate shorts for feeding carp. My only critique of the Helios 2 is of the tube (purely aesthetical), which seems silly, you might think. However, its pre-scuffed blue logo harkens just a bit too much of “worn” jeans. You know, the sort with holes that designers like to call “distressed.” A serious angler will put enough use into this fine fly rod to wear down the tube to a satisfyingly scratched gray, just as physical labor will put holes in the knees of your jeans. Put the work in. An achievement, either way, and one of which I don’t appreciate being deprived. In a 9’ 6″ six-weight, it’s a perfect all-around rod I would confidently take with me for bass ponds or on carp flats, any day.